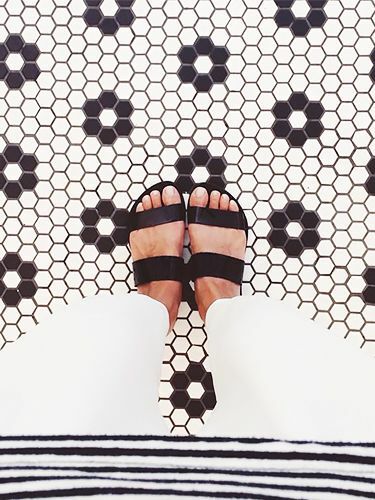 Since a pair of timeless leather sandals will always be the perfect complement to a relaxed summer look, we decided to feature our favorites for this week’s #TuesdayShoesday. Go ahead, update your loyal leather sandal collection and shop our sleek selects. Scroll through for footwear as comfortable as it is covetable. Wear this pair of neutral sandals with your favorite sundress this weekend. The skinny braided strap is simple, but so chic. Try this sling-back sandal the next time you need an easy outfit update! If you’re looking for a pair of timeless sandals that will go with everything, look no further. We bet these will become your go-to brunch sandal. Do you have a favorite weekend shoe? Let us know in the comments below.